Quickly, name your favorite horror film from the past 10 years. What’d you say? Mine remains Insidious. Some of you might have said The Conjuring. Others might have gone with Annabelle, or one of the Saw chapters. You know who you have to thank for all of those creepy stories? James Wan. The incredibly gifted writer-director is about to deliver another masterful chiller in the form of The Conjuring 2, the continuation of Wan’s deep dive into the supernatural case files of Ed and Lorraine Warren. Only, Wan’s journey through the macabre may be coming to a close – for the time being – and that’s reason to lament. While on the promotional tour for The Conjuring 2, Wan was asked by EW if The Conjuring 3 was in the cards. It’s a natural progression, as the Warrens had numerous cases that could inspire multiple sequels. Only, James Wan’s about to dive into the deep end of the DC Cinematic Universe for an adaptation of Aquaman, and he admits to the entertainment outlet what I basically fear – the superhero gig will keep him out of the horror game for the foreseeable future, which means one genre’s gain is another genre’s loss. Let me tell you why that concerns me. The superhero industry is booming. Between Marvel and DC, incredibly talented storytellers such as Ryan Coogler (Black Panther), Scott Derrickson (Doctor Strange), Patty Jenkins (Wonder Woman), Rick Fumiyama (The Flash), Jon Watts (Spider-Man: Homecoming) and Taika Waititi (Thor: Ragnarok) are getting their shot at spinning blockbuster tales that likely will pack theaters hungry for the latest comic book adaptation. Because of the health of hero franchises, the comic genre boasts a packed slate from now through 2020, and new projects are flirting with potential release dates on a regular basis. Business, as they say, is booming. But the horror genre? It’s not nearly as strong. Some independent titles make mid-sized splashes on the film festival circuit. Look for the latest horror features by the likes of Jennifer Kent (The Babadook), David Robert Mitchell (It Follows), Adam Wingard (The Guest) and Ted Geoghegan (We’re Still Here), if you can find them. But major studios prefer to take chances on proven brands like Paranormal Activity, leaving critically-acclaimed movies like The Witch to top out around $25 million on the year. And with James Wan transitioning to the hero genre – even if it’s only temporary – it means that a struggling movie genre that truly benefits from his specific skill set is losing one of its most gifted voices when it needs him the most. And that’s a depressing reality. The Conjuring 2 reminded me of how effective James Wan is at staging a slow-burn horror movie. In movies like Insidious and The Conjuring, Wan refined his long-form storytelling techniques, and he became more masterful at manifesting late-night, haunted-house atmospheres. The patient, versatile director comes up with fantastic, small-scale horror movie set pieces that wedge themselves in our memories, so they can surface in the dead of night, when we’re back in our homes and wondering if we actually hear the creaks and groans coming from our own attics, or our basements. 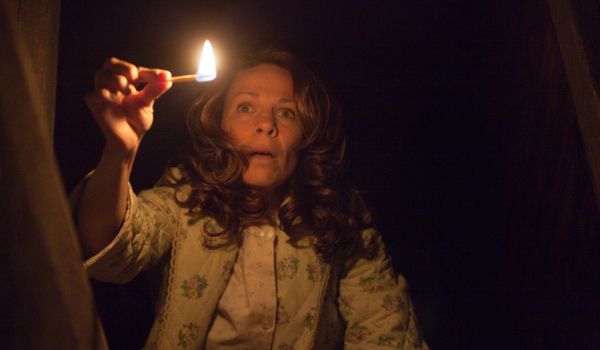 I get the chills thinking about the baby monitor gag from Insidious, or the image of Lili Taylor lighting matches at the top of a darkened staircase. That looks like my staircase, Wan. Stop it! But James Wan earns his scares by developing relatable characters, and that’s a big part of what sets his horror stories apart from the standard-issue slash-and-hack entries of the usually exploitative genre. "So that means his Aquaman movie will be great," you say. And I agree with you. James Wan knows how to make great movies, and I have all the faith in the world in his ability to make Aquaman fantastic. Recently, as if to prove the fact to himself, Wan allowed himself the chance to tackle a big-budget studio tentpole in Furious 7. And even though Wan was dealt an impossible hand when one of his lead actors, Paul Walker, died mid-shoot in a car accident, the horror director delivered a state-of-the-art stunt spectacular with all the requisite bells and whistles, setting box office records and keeping a successful film franchise on track. That’s not just impressive. It should have been impossible. And Wan pulled it off. To find his comfort zone, Wan returned to horror. And those of you who go see The Conjuring 2 will understand that this is where the storyteller belongs. His passion for ghost stories, and his inherent knack for the supernatural, elevates his entries to the horror genre. 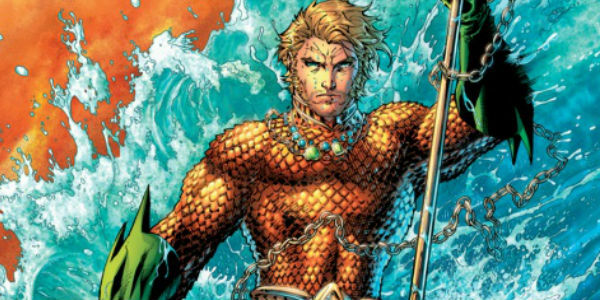 Could another director step in and make a good Aquaman movie? I think so. But can a different horror director rise to the challenge of making a Conjuring 3 that's as effectively creepy, unsettling, humorous and inventive as Wan’s two chapters in this series? Probably not. Having him leave for a superhero movie means we’re getting one less James Wan horror movie over the course of our lifetime. And no matter how great Aquaman turns out to be, that’ll always be too bad. What would you prefer James Wan to do?